A Custom Barn Beam Fireplace Mantel – Start To Finish ! If you think all barn beam fireplace mantels are created equal…you should think again! 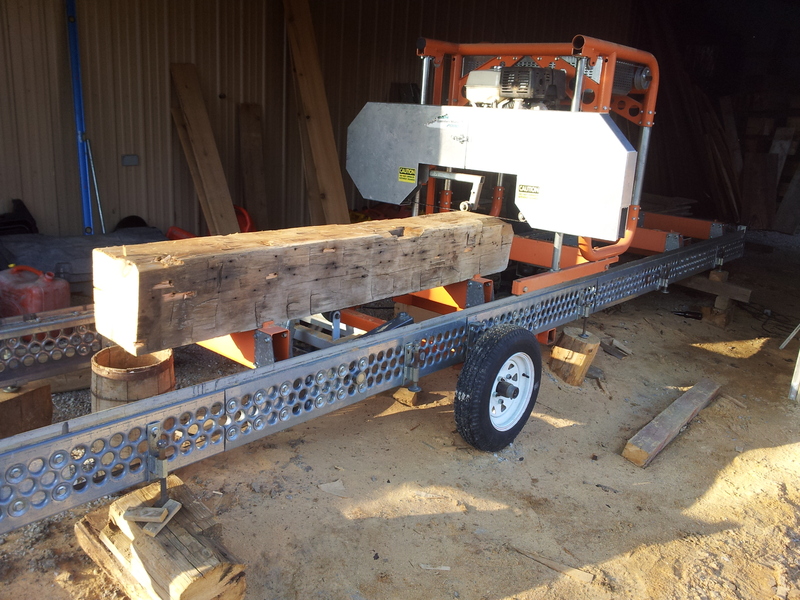 Barn beams come in all shapes and sizes…and so do our customer’s requests. That’s why we have worked hard to be able to deliver whatever our clients ask of us. And thanks to our clients, we have a pretty big portfolio of custom barn beam mantels that we have sent out of our shop. Barn beams are generally rough hewn and square…to off-square in dimension. Not everyone wants a square mantel, however. And…not everyone wants a mantel that falls within the usual measurements of a reclaimed beam. This is why we custom cut – to thickness and depth – whatever you may need for your custom mantel. This mantel was a custom order. This client wanted a barn beam cleaned up on all four sides you yield a contemporary, straight mantel with crisp corners. Nice! The process for this mantel started at the mill where we cut all sides of a 10×10 barn beam to give us a finished piece of wood that measured 6×8. Simple enough. Then we took it back to the shop and had our way with it to create the perfect custom mantel for our client. I think this mantel looks great, and once the stone facade is installed…this fireplace will be the focal point in this room. If you are interested in a rustic reclaimed barn beam mantel…or a crisp contemporary slab such as this little beauty…please call Rebarn .ca @ 647-968-4004 and see what we can do to make you and your fireplace look your best!